When you are a band that Kurt Cobain consistently cited as one of his favourites, your reputation can tend to precede you. Yet, Teenage Fanclub’s near 30-year career of being “musicians’ musicians”—Noel Gallagher also referred to them as “the second best band in the world” at the height of Oasis’s popularity—doesn’t seem to have created any inflated egos among them. 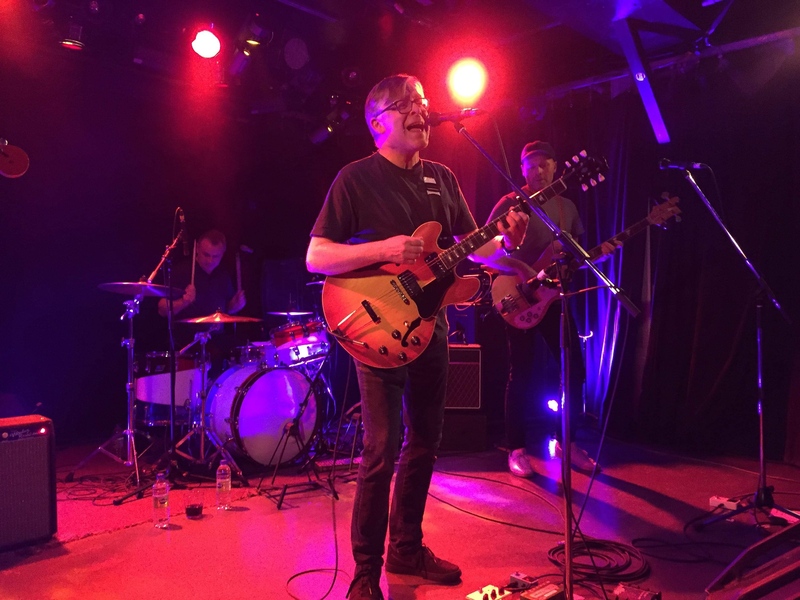 “If someone told us when we first wrote these songs when we were 20, that we’d still be playing them now,” said singer and guitarist Norman Blake to the crowd two songs into the band’s set at Petit Campus on March 9, trailing off before finishing the thought. The gratitude they feel to still be playing sold-out rooms (albeit not the theatre-sized rooms they used to play) was clear from the first song, as Blake’s faced beamed with an uncontrollable smile, locking eyes with the other members as they found their timing together. The band’s cult status has helped them maintain a solid fan base through ups and downs of popularity. However, the music itself, with timeless lyricism and a preternatural ear for melody, is arguably what has kept them consistently accumulating new fans over the years. That fact was present among the delighted onlookers: while there were plenty of older indie-rockers with touches of grey in their hair, there were also many who couldn’t have been far out of their teenage years. The band elected to start their set with the opening tracks from their two most successful albums, 1995’s Grand Prix and 1997’s Songs from Northern Britain. Both songs (“About You” and “Start Again”) were written by Blake, and unfortunately the crowd would be denied other classic singles such as “Sparky’s Dream” and “Ain’t that Enough,” written by recently-departed bassist Gerard Love. He retired from touring last fall after the band performed their first five albums in chronological order across three nights in Glasgow. Emerging from a British independent music scene in late 80s that hadn’t quite figured out what was going to come after New Wave and synth-pop, Teenage Fanclub fused howling, massively distorted guitars with a penchant for the power pop of 70s bands like Big Star and Cheap Trick and harmonies of 60s pop-rock of bands like the Byrds. In doing so, they somehow anticipated both the Grunge movement in the United States and the Britpop movement of their home country. While never quite gaining the mainstream success of other 90s alternative acts, their career always seemed to hew close to the most important things happening in alternative music. Their 1990 independent debut album, A Catholic Education, was released in North America on the then-newly founded Matador Records, and was the first release to attract considerable attention to a label that would go on to help make the careers of bands like Pavement, Sleater-Kinney and Modest Mouse. Their breakthrough single, “The Concept,” released ahead of their 1991 major-label debut Bandwagonesque, seemed ahead of the curve, perfectly capturing the sarcastic aloofness that would define 90s alternative rock, with lyrics like “she says she don’t do drugs, but she does the pill.” That album famously beat out Nirvana’s Nevermind to be named album of the year by Spin magazine.